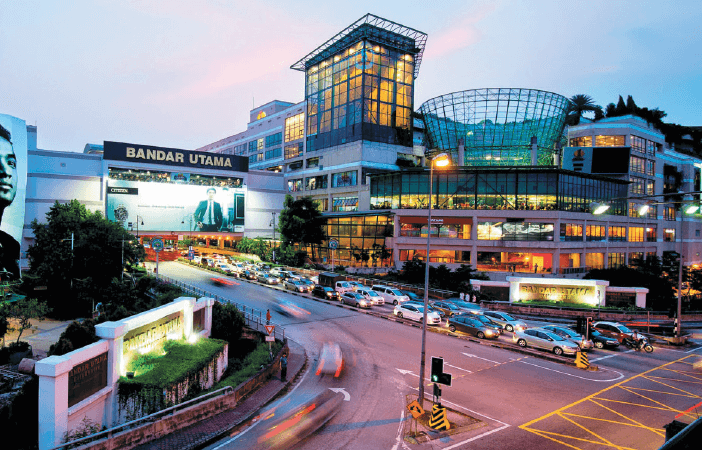 1Utama Shopping Centre in Bandar Utama, which boasts a gross floor area of over five million sq ft and more than 700 retail stores over six levels, is the largest shopping mall in Malaysia and the seventh largest in the world. Yet, it is still expanding with an upcoming 150,000 sq ft annex known as 1 Utama E that is expected to be ready by year-end. 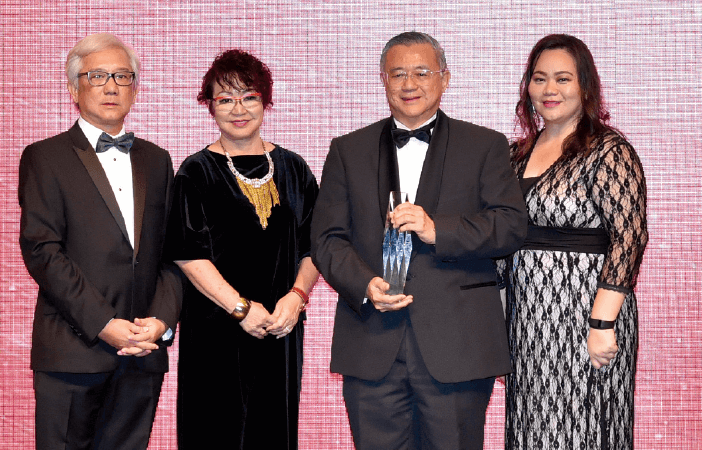 This year, The Edge Malaysia Property Development Excellence Award has recognised 1 Utama as a large-scale development that is popular for shopping, dining and entertainment, and has made a significant impact and achieved great success. The net lettable area of the old wing and new wing is about 900,000 sq ft and 1.2 million sq ft respectively. Meanwhile, the adjoining annex, 1 Utama E, which is under construction, is designed to be a new sports and entertainment tourism destination comprising more F&B outlets and a US$5 million AirRider indoor skydiving facility (a joint venture with Indoor Skydive Australia Group) and a semi-indoor surf centre designed and engineered in the US. The annex will connect the Bandar Utama MRT station, One World Hotel, IBM Tower and the shopping mall itself. “Because of the changing patterns of shopping, like e-commerce, a shopping centre is more than just for shopping — it is a place for entertainment and lifestyle,” says Teo. 1 Utama that will offer an additional 13,000 parking bays and new retail concepts, which are targeted to be ready next year. 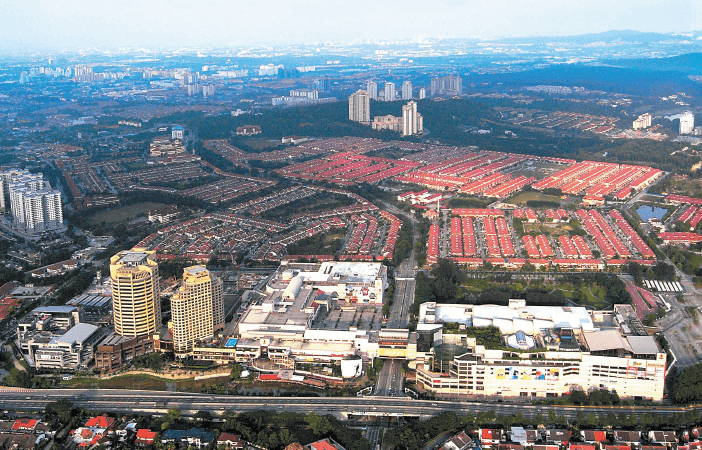 1 Utama is a pioneer in more ways than one, including being among the early adopters of connectivity and integration by linking both its buildings. As the idea of linking two buildings via a bridge and an underground tunnel was still new at the time, Teo says it was quite a challenge to convince the approving authority to allow them to do so, as the law did not allow it. “The law had to be changed in order for us to get a licence to use the airspace and underground and I’m very happy we persevered. “Linking our buildings has not only served as a convenience but it has also segregated pedestrian traffic and vehicular traffic, making the shopping environment more comfortable and taking away the danger. We wanted the whole shopping centre to operate as one, seamlessly. That is an important part of the shopping [experience] and we are proud of it,” says Teo. In addition, 1 Utama is the first building to use what Teo calls “thermal storage” for cooling the shopping centre. “That means we make ice at night and melt the ice during the day for air conditioning. “Peak demand for electricity is during the day, when most buildings are operating, and at night there is less demand. And because power plants don’t switch on and off, they are running and producing unused electricity. So, off-peak incentives were adopted, and in order to enjoy this incentive we run the chillers and make ice at night at off-peak rates. During the day, we don’t compete for peak demand but melt the ice to cool the building. It was a new idea at the time, which is today part of being green and environmentally conscious,” says Teo. For the new wing, the developer decided to switch from using ice to ice water. “We realised that when you melt ice, it soon floats around, making extracting the coldness less efficient. And making ice requires a higher level of technology and any breakdown would require foreign expertise to come in. Ice also requires running the chiller at an extremely low temperature, which is less efficient. To do so, we have to use the toxic chemical, glycol, that can leach into the ground if it leaks. So, we adopted ice water instead. “However, as ice water requires 10 times the storage capacity, you would need a big building with a big floor plate to accommodate this, and I think we are one of the first to adopt this system,” Teo adds. For Teo, it was a conscious decision to position 1 Utama as a family mall catering for the middle-income segment. “We designed the components of the mall to attract the whole family. We worked out that people usually remain in the mall for about four hours and because we did not want them worrying about parking fees, we started at RM1 per entry. Now it is RM2 for the first four hours, giving visitors enough time to come as a family and disperse to catch a movie, have a drink, go bowling, shop and later meet up again for a meal. I reckon that we also got that right,” he says. From having only one anchor tenant when it was just the old wing, now 1 Utama has four — AEON, Parkson, Tangs and Isetan. “We have the scale to have four anchor tenants; not many other malls do. This offers more choice and variety. 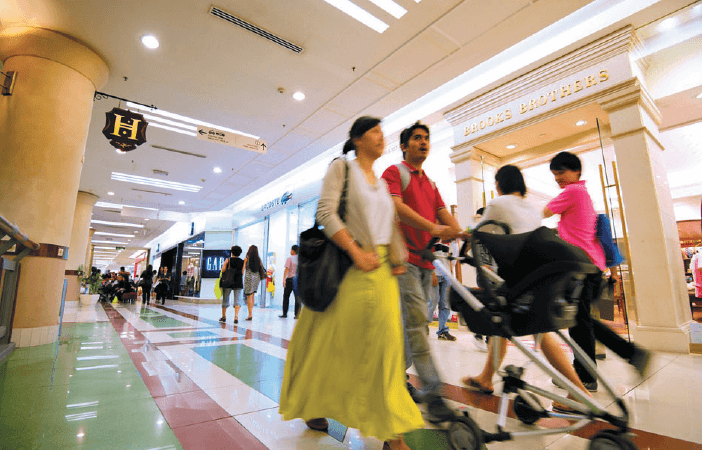 As the anchor tenants are the magnets that draw people into the mall, retail shops along the way will benefit from the footfall,” Teo says. Rents at 1 Utama have tripled since it opened, according to Teo, and footfall is around 2.7 million a month, or at least 32 million a year, with an average car turnover of twice on weekdays and four times on weekends. At least once a week, Teo walks around the shopping mall. “It is part exercise and partly getting to know the mall better. There are many ways in which a mall can go wrong. And, of course, if I have to meet someone, I always make my appointments in the mall. Well, we are spoilt for choice with so many types of food and coffee outlets. It is very convenient,” he says. Notwithstanding the cautious consumer sentiment in general and the many malls that have sprouted up in the vicinity, 1 Utama remains focused on being the destination for the entire family. “People are a bit more guarded in their spending but the increase in footfall compensates for this and the outlets are doing quite well. Each of us has to find a niche, right? We will focus on family attractions,” Teo remarks. The developer, through its ONECARD loyalty card, analyses the spending patterns of the mall’s clientele. “We try to tailor the tenant mix to customers’ wants and needs. This is always evolving and it is always very exciting,” Teo says. 1 Utama also boasts its own thriving Malaysian rainforest conservatory inside the mall, complete with over 100 species of flora and fauna, including freshwater fish. There is also a Secret Garden on the rooftop that spans an impressive 35,000 sq ft. The rooftop garden started as Teo’s pet project. “I love gardening and I wanted to recreate the intense blooms that you can find in more temperate countries. After some research, I realised that temperate plants require hot sunny days but cold nights. We have sunny days but not cold nights, so I decided to use some of the ice water that we make for the mall,” he says. The Secret Garden is open on weekends and has more than 500 species of curated tropical and temperate plants, including the world’s largest lily pad.